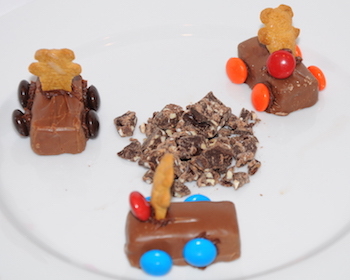 For a transportation theme dinner put together a race track with cars in the middle of your table for your party centerpiece. 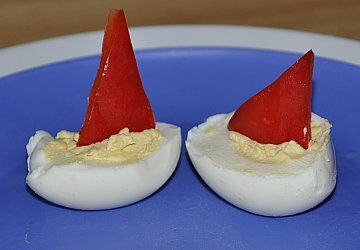 A great appetizer to start your Transportation kids dinner party, make sailboat eggs out of deviled eggs and a red pepper sail. Prepare hoagie sandwiches with desired meat and cheese fillings. Place two cucumber circles on the end of a pretzel stick. Make another for the back wheels of the car. 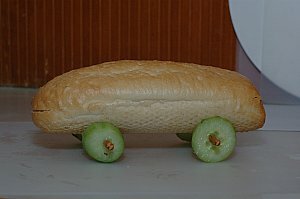 Place hoagie car on top of its wheels and watch it get eaten up. Cut a large cucumber in half and scoop out insides. Fill with tuna salad, chicken salad, whatever you'd like. 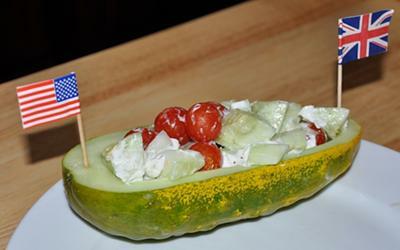 We filled ours with a Greek salad and added flags for fun. Perhaps we should have added a Greek flag but didn't have one! 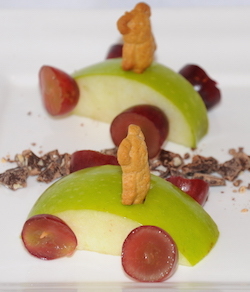 Use apple slices and grapes cut in half to create cars. 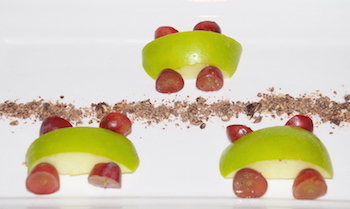 You'll need to use toothpicks inserted into the apple slice to keep your wheels in place. Add little drivers, if desired. Break a graham cracker into rectangles. Spread frosting over each graham cracker rectangle. 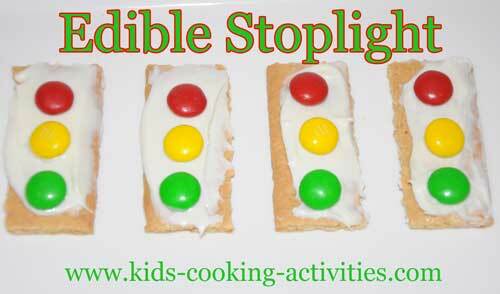 Place a red, yellow and green candy on top of the frosting to resemble a stop light. Cut a small hole out of the top of the candy bar for the driver. Add a dot of frosting and add a teddy graham. 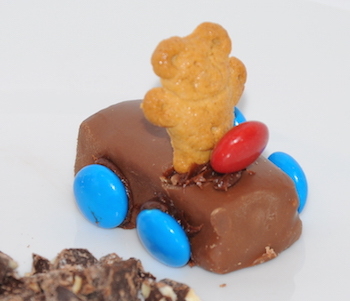 Add a dot of frosting in spots for the candy wheels and steering wheel. Add M&M's on top of the frosting. 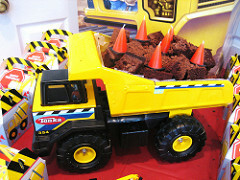 Add crushed cookies to clean dump truck. 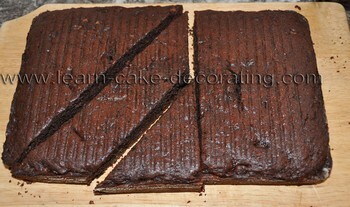 ( cookies will look like dirt and sand) Add the chocolate cake squares to the cookie crumbs. Sprinkle more cookie crumbs over the cake. Cut one triangle in half for the sail and the bottom of your boat. The other rectangle will be used to make small boats. 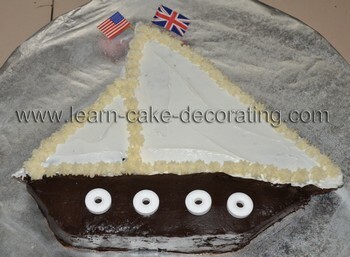 Rearrange your pieces to have a bottom and the sails as shown below. 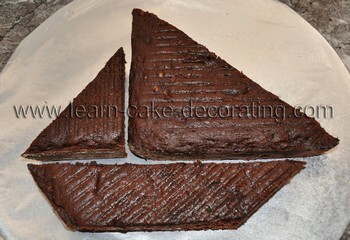 Set aside your extra rectangle and frost and decorate the arranged pieces. To make the small boats, divide the rectangle in three smaller rectangles. Frost and add paper sails, or additional details to personalize the sailboat for the guest of honor or to match the events theme. Frost and decorate how you would like. 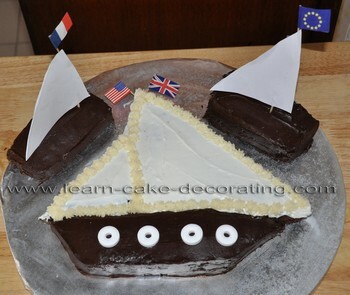 To make the small boats. Cut your rectangle in three smaller rectangles. Frost and add paper sails or whatever details you'd like. 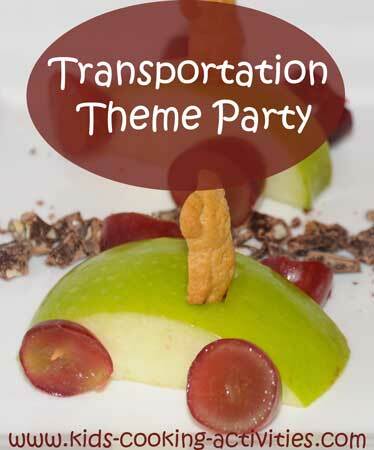 Back to Theme Dinner Ideas from Transportation Theme.